A debate is raging on what can be sold as “kusu” or aged awamori as no one has been able to create a definition to match age-old practices. Aged liquor always proffers a special taste, and Okinawan awamori is no exception, except as the brewers, drinkers, tasters and political purists all want to define exactly what “aged awamori” should actually be. Changes coming down the pike next year redefine what “kusu” actually is, and what it’s not. Trouble is, many people aren’t liking the new definition, which would stand to stop a longstanding tradition of blending older awamori with younger to further improve the taste. From next year, the definition of kusu will change. 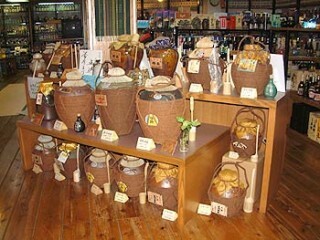 The Jukuseishu –mature liquor– definition will change from 50% to 100% and this will be a problem when doing the “shitsugi” that has been a custom of producing awamori since the Ryukyu Kingdom Era. The life force of the kusu is kept by adding younger awamori to the old. But after the change, if 30-year-old kusu is poured on a 100-year-old, it would be mandatory to label it as 30-year-old. Some fear that this would lead to the denial of Okinawan traditional culture and awamori traditionalists are now demanding deeper discussion concerning the labeling of the kusu. Many awamori breweries were destroyed during The Battle of Okinawa. The only brewery left from the pre-war era is a 150-year-old brewery in Shuri, Naha City, but it’s oldest products have not been allowed to be taken outside of the building. A 72-year-old izakaya (Japanese pub) owner, Miyuki Tsuchiya, has also had the privilege of tasting some 100-year-old awamori back in 2009. Tsuchiya says “It has a graceful scent which I have never experienced before. I would have never imagined coming across a 100-year-old awamori.” Tsuchiya, a member of an organization dedicated to educating the public about kusu, “Old Awamori” and its traditions and history to the next generation, feels awamori is currently standing at a crossroads. In 2011, a scandal involving old awamori and what can be called as such, came to light, and led to a debate and rules defining kusu for the first time, stating that awamori has to contain at least half of its volume liquor that has aged at least 3 years for it to be sold as kusu.